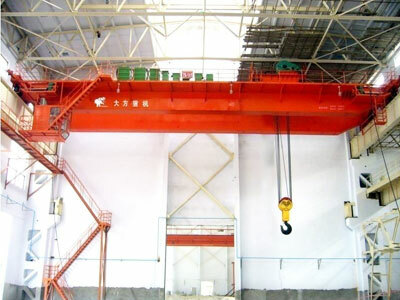 QB type double girder explosion proof crane is designed for general hoisting operations in explosive or flammable atmospheres, usually equipped with explosion-proof hoist and motor. It is widely used in chemical workshop, petrochemical plant, wastewater treatment plant, gas power plant and other industrial plants for light duty to moderate service. 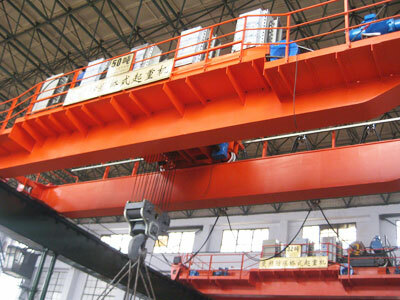 The lifting capacity of this particular double girder crane is generally in a range of 5 ton to 75 ton, and the work duty is A4. 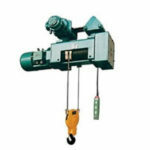 The design and explosion-proof performance of the entire crane are in line with JB/T5897-2006 standard, and that of all motors and electrical devices are in conformity with GB3836.2-2000 standard. The explosion proof signs on the lifting equipment are ExdII BT4 and ExdII CT4. This product is applicable in sites where the explosive substances and ignition sources are present, especially in plants where the explosion transfer capacity is not higher than IIB or IIC and the ignition temperature is in a range of T1-T4 group. 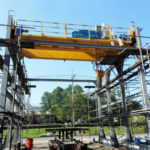 The explosion proof hoist cranes are engineered to perform light duty and moderate lifting requirements. Light duty service: this service class refers to light lifting requirements that cover small capacity and slow lifting speed. 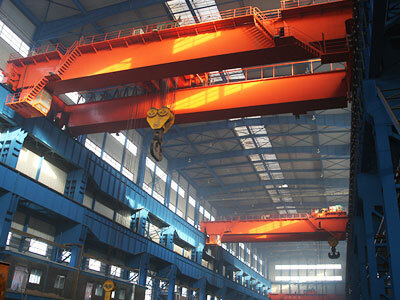 Within this service requirements, the explosion proof bridge crane will be built on request. 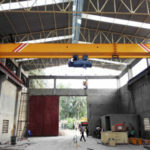 Moderate service: the explosion proof crane designed with moderate service requirements indicates that the crane is able to handle heavier loads and realizes a greater lifting speed. 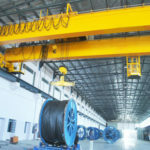 In the selection process of an explosion proof overhead crane, the potential crane users should specifically define the rated load weight, working environment and the type of explosive gas or mixture so that the crane manufacturer can determine the level of explosion protection and duty cycle. 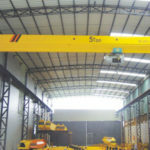 To get a solution that delivers appropriate lifting functions, contact Dafang crane today! It has delicate appearance, safe and smooth operation. The protection grade of crane drive system can be IP54 or IP55. It has novel and sturdy structure. 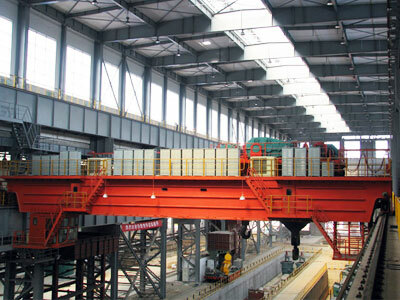 The bridge girder adopts quality carbon steel Q235B or Q345B, and the main and end beams are connected by high tensile bolts. The electric control system will use security trolley line or angle steel trolley line. Safety protection devices such as traveling limit switch, lifting limit switch, overload limiter and anti-collision device will be equipped according to customer’s requirements. It has long working life and reliable performance. 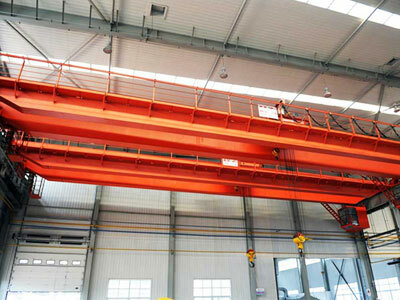 The double girder explosion proof crane designed and manufactured by Dafang crane is optimized for unique lifting requirements as well as a high-level safety and reliability. 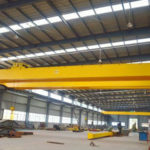 Since quality and safety is particularly important in hazardous atmospheres, the explosion proof crane manufacturer will focus much on the product quality and safety designs during the whole fabrication process. 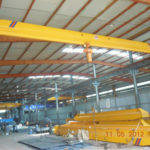 We provide lifting equipment design, manufacturing, delivery, installation and maintenance for clients. 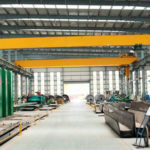 Looking for a reliable explosion proof crane provider? Call us now! We will design the solution that works well for your unique situation.